Billy Osborne, the former leader of LTD, worked with the genius Ray Charles for 15 years and produced the last of Ray’s fine works. Billy and producer Terry Lewis are contemplating a unique musical production in coming months. We’re proud to announce Billy Osborne’s induction into the 2017 Rhode Island Music Hall of Fame! BILLY OSBORNE —International recording artist Billy Osborne’s heartrending vocals, poetic lyrics, and prolific musicianship are a faint reflection of the remarkable gifts that characterize the Providence, Rhode Island, native son. Billy spent the early part of his illustrious career enchanting music lovers as the key percussionist for some of the greatest jazz musicians of our time, including prolific guitarist Wes Montgomery and virtuoso saxophonist Archie Schepp. As a 16-year-old drummer, Billy used his god-given talent to enrich the lives of aficionados the world over, traveling with some of the greatest musicians to ever roam the earth and performing in exotic locations. In1959, he was honored by Metronome magazine as the “best new drummer of the year,” although still in his teens. Coming from a strong jazz pedigree, Billy was naturally hooked on jazz and is a perpetual student of its intricacies. To this day his musical IQ continues to increase, revealing new pathways of expression. But Billy’s creative acumen is not confined to composing or singing lucid jazz riffs. As a producer, Billy’s unyielding passion for scores and arrangements launched him into the company of great music theorists, from whom he acquired a wealth of indispensable wisdom. Naturally, then, he expanded his horizons beyond jazz, which led to other music forms, including R&B, funk, and pop — the progeny of blues and jazz. With the changing winds of traditional jazz and the intoxicating lure of contemporary, smooth jazz and 70s R&B, Billy stayed true to his roots but expanded his commercial range when he assumed the role as musical director for the Los Angeles group, The Friends of Distinction. Harry Elston, lead singer for the group said that “Billy was serious about things and was a bandleader who took care of business.” That experience helped prepare Billy for his lead role in one of the most innovative groups of all time, L.T.D. 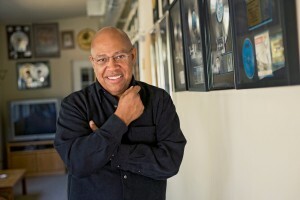 As a member of this platinum-selling troupe, he was one of the group’s two music directors and played keyboards on the memorable A&M Records’ classics “Back In Love Again,” “Holding On,” “Concentrate On You,” and “Love Ballad.” These chart-toppers and a plethora of other sensational tunes by the group were captured in riveting live performances, including frequent appearances on Soul Train, American Bandstand and other nationally televised entertainment programs. Interestingly, in a 2013 interview, Billy’s younger brother and lead singer of L.T.D., Jeffrey Osborne, described his older brother as “the main musical influence in his career,” giving him his first gig at age 13, which paid Jeffrey a whopping $10! Jeffrey said “I learned so much from just listening and watching Billy.” It was Billy who negotiated the group’s first deal with A&M Records and other important business matters involving the group’s future. After leaving L.T.D. in 1980, Billy’s musical consciousness continued to spiral upward, as he went on to produce other successful groups at that time: The Emotions, Confunkshun, Vesta Williams and one of the greatest entertainers to ever dawn the spotlight, the legendary Ray Charles. Under contract with Charles for fourteen years, Billy wrote many songs and produced the album Thanks for Bringing Love Around Again for Ray. He also wrote “Check It Out,” a hit for R&B group Tavares. That tune, however, was first recorded by The Friends of Distinction and produced by the inimitable Jerry Peters, who also played piano on the song, and he was co-writer of the hit “Going In Circles.” Jerry had this to say about Billy’s musical prowess: “Billy is not only charismatic; he is also very versatile in his talents. He would be dynamic in whatever direction he chose to go.” In a serious conversation with a well-known music marketing director, Billy said that there are some things he loves more than music, and that his “music can be transcended by his love of God, family, and my friends.” He is, therefore, in the process of writing music for an epic production. This musical is co-produced by one of the greatest producers in music history, Terry Lewis. In 2017, Billy was inducted into the Rhode Island Music Hall of Fame, as appreciation for his limitless accomplishments increases. Details on the event and a release date will be announced at a future date. Billy Osborne’s mark on music history and the rich legacy that he established is one that has stood the test of time and is one that will flourish for as long as there is a song to sing!